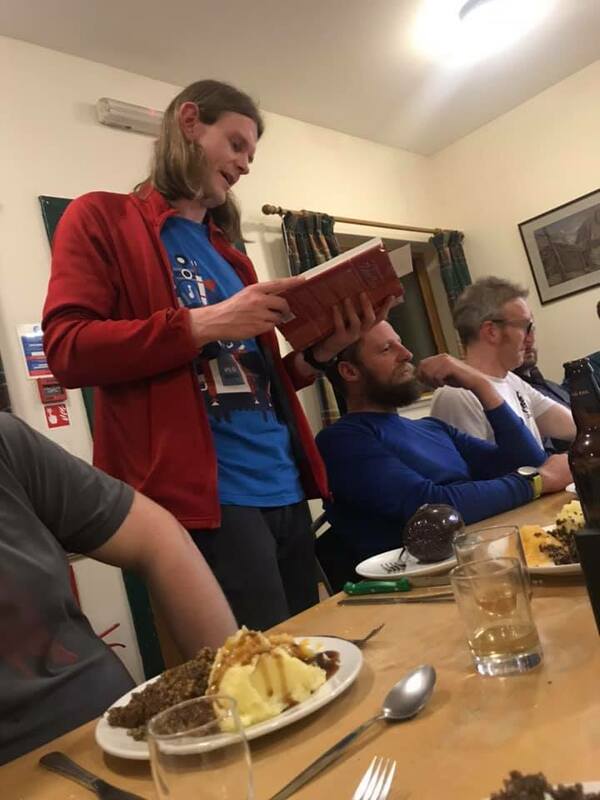 This years Burns Supper meet was held at the very upmarket Kintail Outdoor Centre. 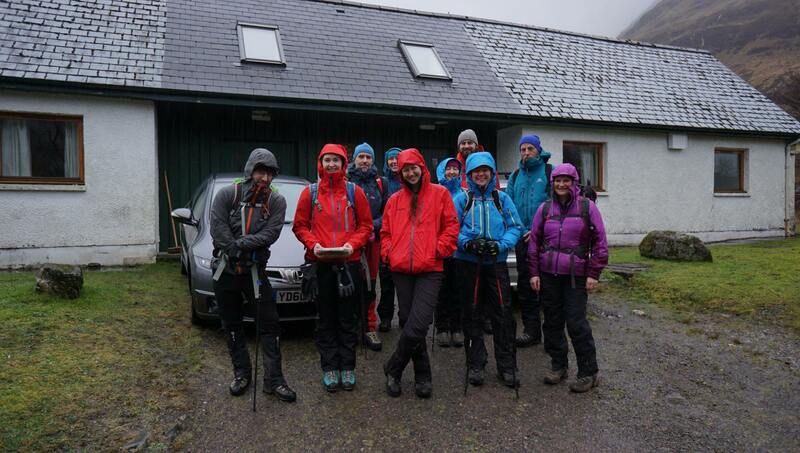 It was attended by 16 Lomondeers and despite the atrocious weather was an absolute blast.A few of us met at the dearest chippie in Scotland on the way up, I think some of them even enjoyed the food!! On leaving the chippie Cameron joked about Lorna getting a puncture before getting to Kintail, unfortunately that comment backfired and poor Cameron,s car broke down at Fort William!!! I heard rumours he planned the whole thing because he didn't have a performance for the dinner??????? On arrival at Kintail we were greeted enthusiastically by those already there, especially Sandra, who had been there playing frizby by herself for hours. We sat by the wood burner having a drink and chatting about how best to spend 8 hours in the rain. 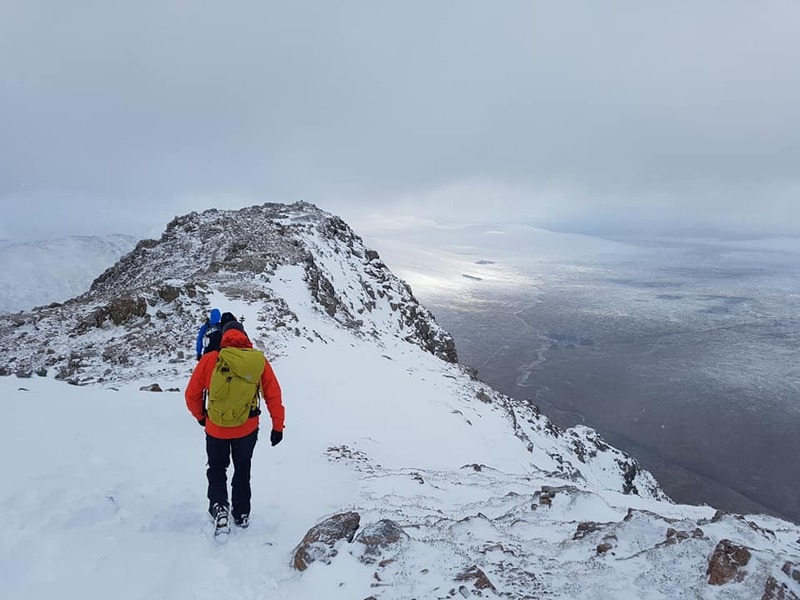 4 settled for an attempt at a summit in Kintail and retired to bed at a reasonable hour, the remainder opted for more drinks and a valley walk with a 10 am start. 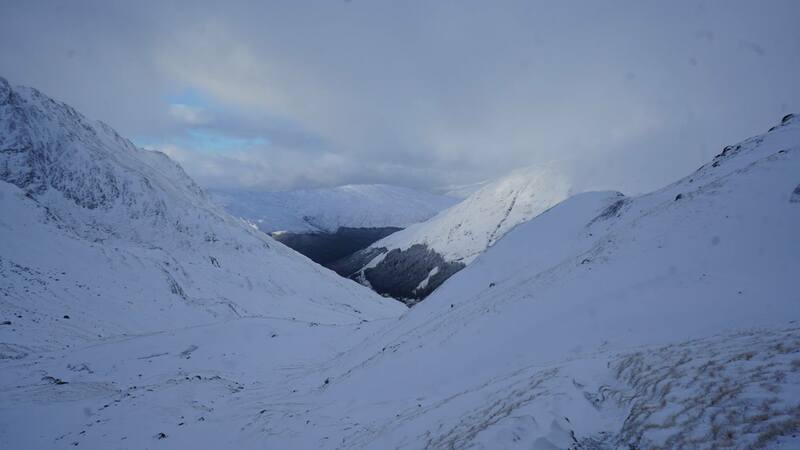 Myself , Florian , Stewart and Chris left the centre just after 8 am and headed up Glen Sheil, our target was a the Corbett Beinnn Bhuidhe and a Munro Sgurr na Signe. We left the car at 8.30am, every single run off on the hills was full to bursting and we were very relieved to find a bridge over the very high burn at the bottom of the valley. It was a struggle to cross little side streams and i wasn't confident we could recross a larger burn higher up. After an hour of walking we reached the point where were were to re cross and it was apparent we wouldn't get across. we discussed our options and agreed heading back was the sensible thing to do. 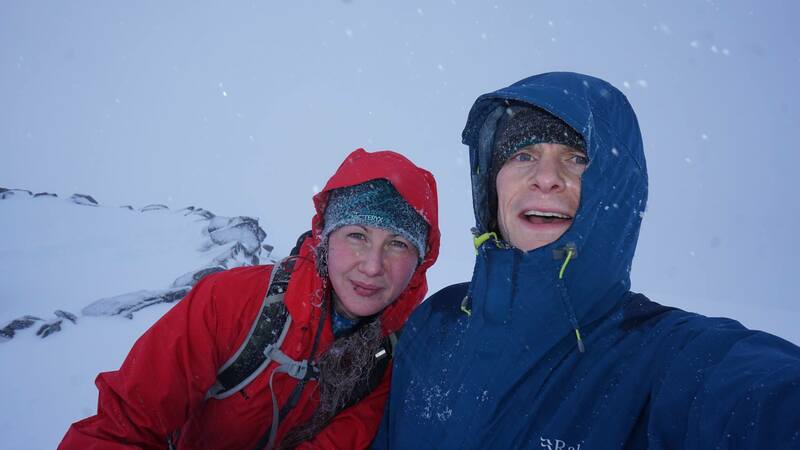 Back soaked at the car for 10.30 and the Outdoor Centre for 10.45 this was my shortest ever day on the hill. We made use of the fantastic facilities at the centre (showers, drying room, woodburner) and had a very relaxing afternoon. 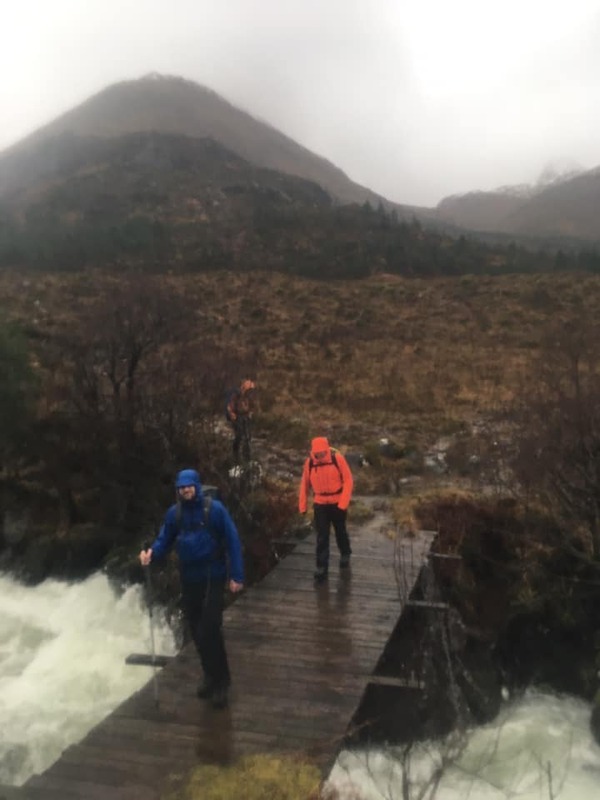 The others headed up Gleann Licht to have a look at a waterfall, the could have seen loads from the centre as I said before every run off was in full flow. 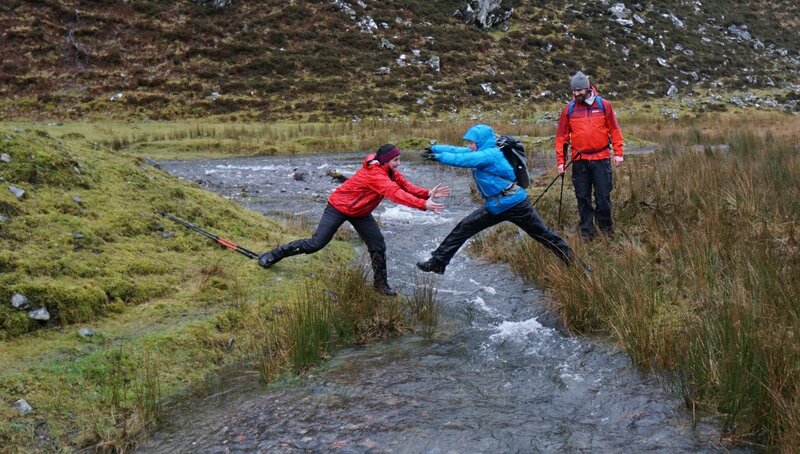 Word has it they had a good laugh in the rain especially the crossing of the burns !! 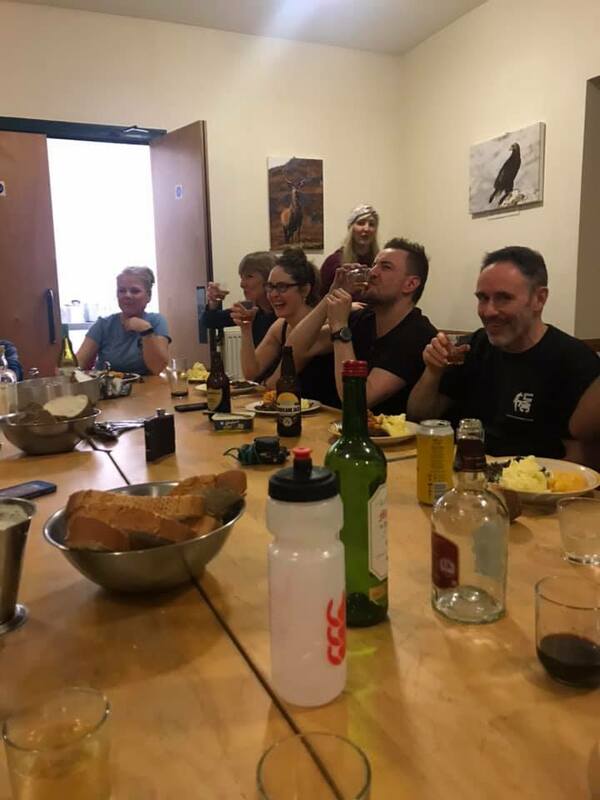 They visited Glenlicht House and enjoyed a dry lunch before heading back in the rain to the Outdoor centre to shower , dry out and prepare for the Burns Dinner. Tables where set Haggis was cooked , Steve started proceeding with the address of the Haggis and a fine job he made of it. Then one by one everyone at some point contributed to what was a very enjoyable Burns Supper. Special thanks to oor Lorna for once again organising and cooking the food . We once again retired round the wood burner for more drinks and chat till the wee small hours, a fantastic end to a fantastic night . 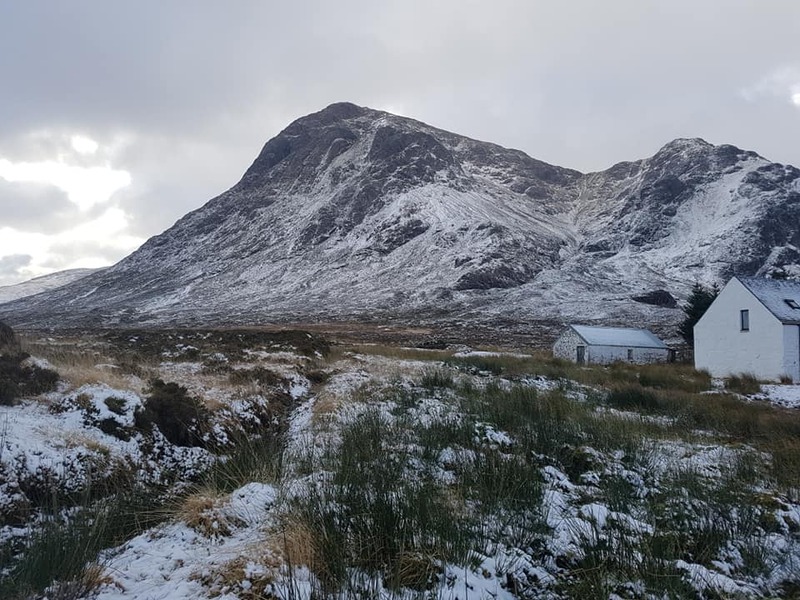 I had to leave early morning , some done some Munro s nearby in the improved weather conditions , some headed south to do other Munro,s in even better weather conditions, but all left in agreement that we had a great meet and may even have found the perfect venue for our Burns Supper Meet.